A Cookie is a pretty easy concept to understand. It is simply a tracking code that is stored on the user’s computer for a determined amount of time to track their ID session, navigation, and preferences. Where is can be a bit confusing is when you talk about the different types of cookies. There are two different types of cookies, dependent on what type of website sets them. I wanted to give you an in-depth definition of what a cookie is and the pros and cons associated with each. A cookie can be stored on your computer for a minute, a day, a week, a month. It really just depends on the cookie. A typical analytics cookie will be stored for usually 30-60 days. There are advantages and disadvantages for both 1st party and 3rd party cookies. Let me first explain what 1st and 3rd party cookies are and then show you the advantages and disadvantages of each. 1st party cookies are set by the website that the user is visiting. Remembers the user’s personal information once they have submitted it. Now whenever the user comes back to the site they will not have to re-enter all of their information again. Amazon does a great job of this. They have recommended items that they list based on your previous searches and purchases. 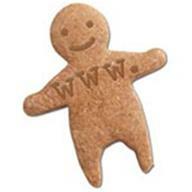 3rd party cookies are set by a 3rd party domain, like a web analytics company or online campaign management solution. For example if someone visits yoursite.com, that information will be routed to webanalyticscompany.com. 3rd party cookies can be used for banner ads, text ads, or any other 3rd party website. Jupiter Research conducted a study on how often users delete their cookies. From their study 58% of users delete their cookies regularly, with 40% of those deleting them every month. With that in mind, no analytics package will ever be 100%. With people deleting their cookies, it will record a visitor who visits more than once as a unique visitor. Unfortunately there is nothing you can do if user’s do not accept cookies or if they delete their cookies regularly.